Rajasthan Assembly has passed the Right of Children to Free and Compulsory Education (Rajasthan Amendment) Bill, 2015, aimed at improving the standards of education by removing the provision of not failing students till Class 8 and instead evaluating them on the basis of their performance. Rajasthan is the first State in the country to bring about such an amendment. Education Minister Vasudev Devnani, while presenting the bill, said that it was “really a proud moment”. 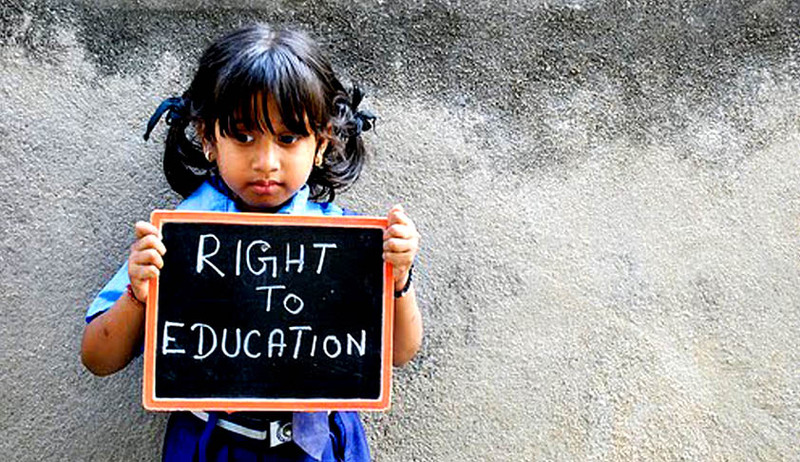 The amendment brings an amendment to Section 8 of the Right of Children to Free and Compulsory Education Act, 2009, which assigns duties to the appropriate Government to ensure that it provides free and compulsory elementary education to every child, in a neighborhood school. A duty to “ensure achievement of class appropriate learning level by every child of the age of six to fourteen years” has been added to this section. The amendment to section 16 has hence been introduced, in furtherance of this duty. A proviso has been added to the section, which says, “if a child has not achieved class appropriate learning level in a class, he may be held back in that class”. Section 16 of the Central Act prohibits holding back and expulsion of a child from school till the attainment of elementary education. Another amendment has been brought in Section 21 of the Act which provides for constitution and functions of a School Management Committee in certain categories of schools. The Committee will now additionally ensure that the teachers perform their duties as specified under Section 24 of the Act. The newly constituted premier advisory body on education in India, Central Advisory Board of Education (CABE), has also favored revocation of no-detention policy up to Class 8 and bringing back Class 10 board exams. A crucial day long discussion was held in August, wherein, the committee suggested ending the policy in a phased manner and re-introducing class promotion from class 5 onwards. “We need to stop, re-assess and then move forward. At this stage, it would be prudent to reiterate the need for assessment of the learning outcomes and make it consequential by linking it to promotion or otherwise to the next class beyond grade 5,” the committee had said in its report. In the light of this discussion, Rajasthan Assembly’s move seems like the first approval, among many more to follow. Read the full text of bill here.